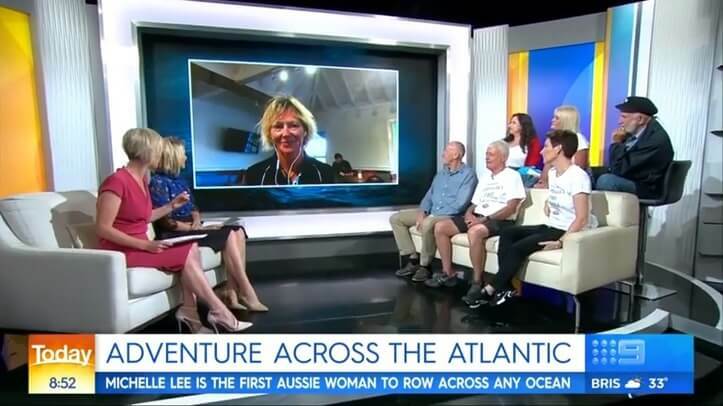 Sydneysider Michelle Lee recently made international headlines when she completed the Talisker Whiskey Atlantic Challenge – becoming the first Australian woman to row solo across any ocean. As the agency to tell Michelle’s story, the team at Adoni Media worked hard over the past six months creating a strategy resulting in 217 media items, reaching an audience of 3.5 million people with an ASR of $1.3 million. So, how did we manage to tell Michelle’s extraordinary story? Here’s a look into our work behind the scenes. 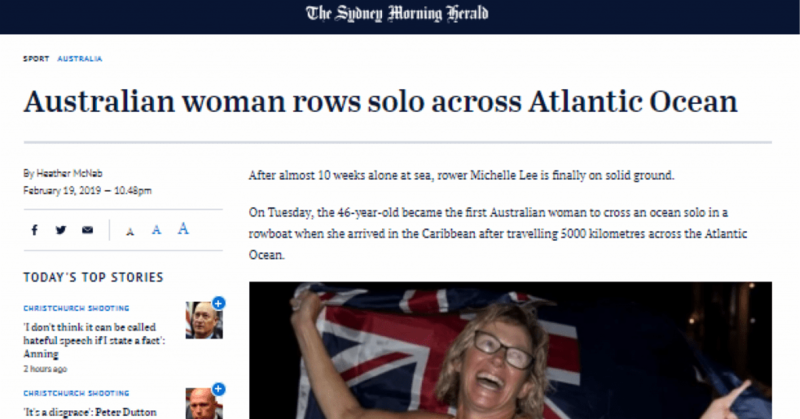 In the lead up to the Talisker Whiskey Atlantic Challenge, we organised interviews with print and digital publications including The Australian and 10 Daily to introduce Michelle to Australia, framing her as our newest sporting legend. Michelle’s story was one of incredible determination – the former banker had never held an oar until two years ago – making it even more imperative we told her story properly. To build momentum around Michelle as she was rowing across the Atlantic, Adoni Media decided to produce A While Away, a podcast tracking Michelle’s journey with interviews, race updates and satellite phone check-ins with her and her team. Behind the scenes with our Communications Director, Clare Christensen, recording A While Away. 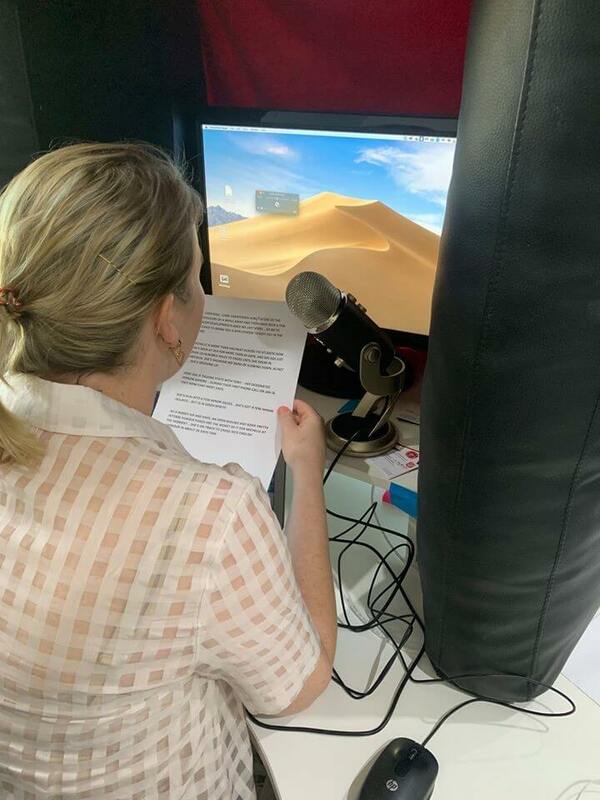 Our Managing Director Leisa Goddard, Communications Director Clare Christensen and Account Manager Erin Rhone worked closely to produce episodes where we introduced Michelle and explained the upcoming task, while also chatting to her team and checking in with her from the middle of the Atlantic Ocean. “When we first heard about Michelle we thought, is this woman crazy?,” Leisa said. “But we saw the preparation she put into the race and watched her overcome gruelling challenges including fires, strong winds, pestering pipis and extreme body pain. When Michelle finally arrived back on dry land, she stepped into a media frenzy with dozens of media outlets wanting interviews. Juggling both the 14-hour time difference and the 20,000km distance between us, made organising interviews even more intensive. “Michelle’s journey was nothing short of extraordinary, so we knew we had to tell her story right,” Erin said. “At one stage we had a solid block of five hours of interviews for Michelle, so it was imperative things ran like clockwork, to maximise the coverage we were able to achieve. “We were constantly checking the Skype connection and phone reception to ensure everything ran smoothly, but in the end we couldn’t have asked for a better result. Michelle and her team on Today. In less than 10 days, Michelle’s story was featured in 217 media items, reached an audience of 3.5 million people and had an ASR of $1.3 million. Media who covered Michelle’s story include Sunrise, Today, Sky News Australia, ABC Radio National, The Alan Jones Breakfast Show and The Daily Telegraph. To keep up to date with Michelle as she settles back into life in Australia, listen to the A While Away podcast.